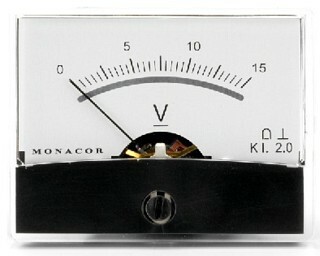 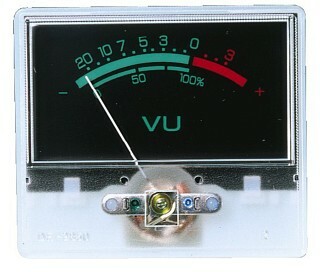 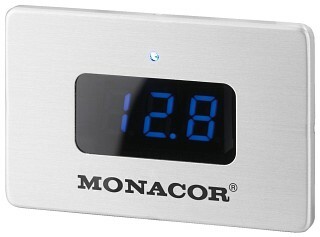 Enlarge Panel mount digital voltmeter, for indicating the charging voltage of rechargeable 12 V and 24 V batteries. Enlarge Profile panel meter, for tuning and level display, scale 1-6, 120 µA/750 Ω, illuminated. 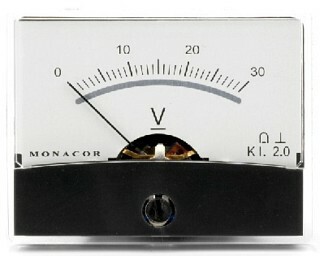 Enlarge Moving Coil Panel Meters With mirror scale, all-plastic housing, quality class 2, zero point correction. The meters are prewired for an illumination. 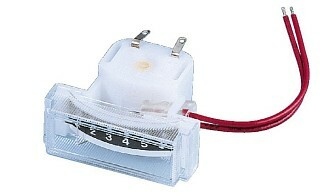 For illumination purposes, these panel meters can subsequently be fitted with two LEDs with series resistor. 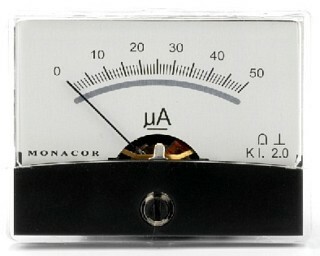 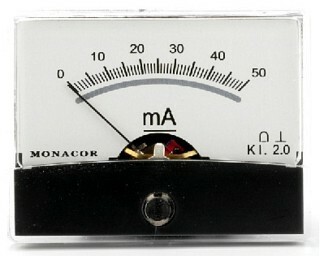 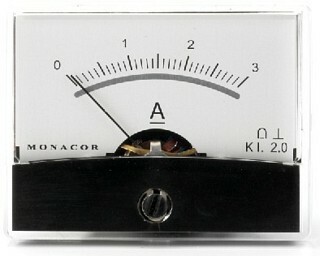 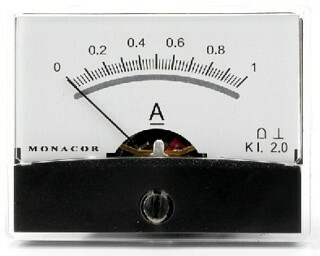 Enlarge Panel meter, with VU lettering, 250 µA/750 Ω, ±10 %.